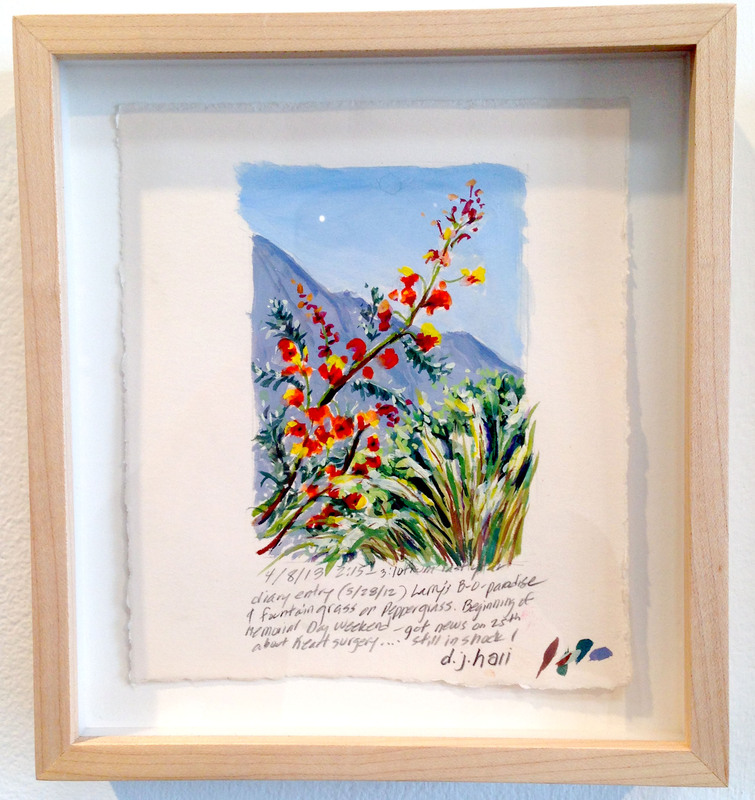 D.J.Hall’s larger paintings as well as her smaller gouaches and watercolors of nature taken from her small notebooks are currently being shown until 2/22 at Craig Krull Gallery at Bergamot Station. Also being shown are Los Angeles photographer John Humble’s bright color photos of Pico Boulevard. 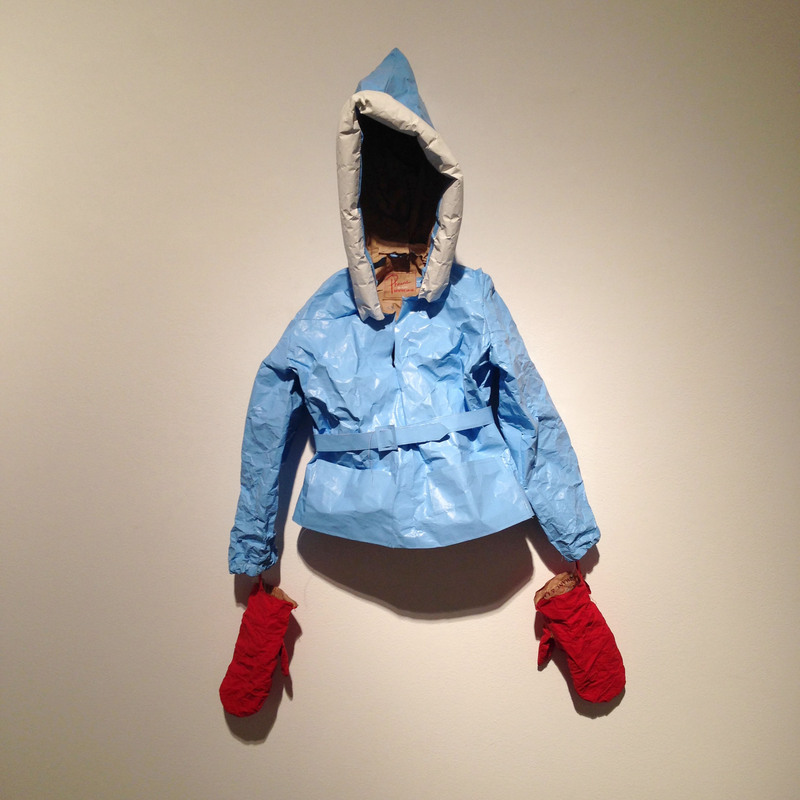 Phranc, best known as The All-American Jewish Lesbian folksinger, is also a self-described “Cardboard Cobbler,” who fashions cardboard, paper, gouache, and thread into life-size, three-dimensional replications of everyday objects. As a teenager, Phranc attended The Feminist Studio Workshop at The Woman’s Building in Los Angeles, but she traces her obsession with cardboard back to childhood. She says, “From the time I sat in my first refrigerator box submarine, I knew the cardboard sea was for me.” Her first exhibition at Craig Krull Gallery, Phranc of California (Summer of 2011), consisted of hand-crafted beach paraphernalia, such as swimsuits, inflatable rafts, umbrellas and beach balls. 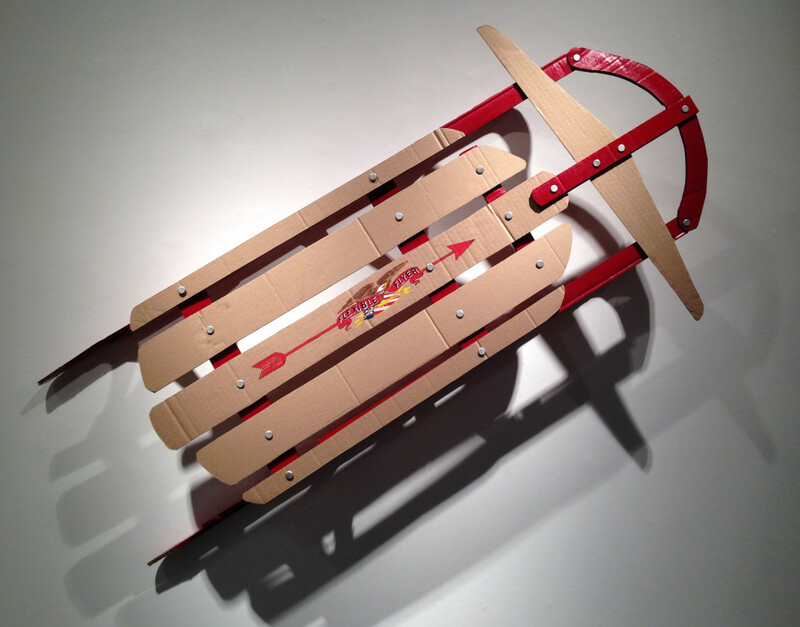 For her new exhibition, Winter, Phranc will exhibit painted paper and cardboard snowshoes, ski sweaters, ski pants, lift tickets, and even a shiny new red sled! In these trompe l’oeil re-creations of nostalgic winter items, Phranc remarks upon the reconstruction and idealization of memories. These whimsical cardboard constructions are great. This show is up until 1/11.